Hosted by the Indian Cultural Exchange, Diwali is one of the most lavish student events at Emory and celebrated its 25th anniversary this year. About 700 people attended the sold-out Nov. 7 gala. 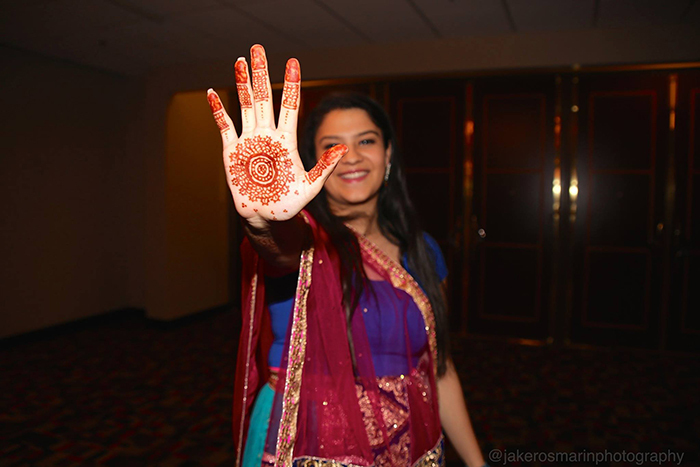 Photos by 1-7 by Jake Rosmarin Photography; photos 8 & 9 by Amala Sarvepalli. 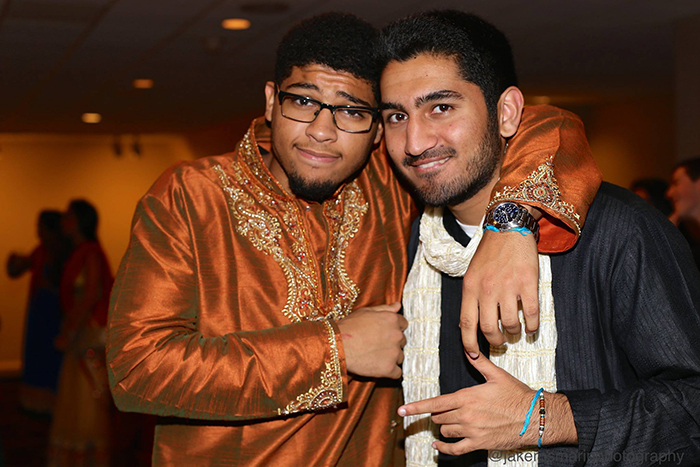 One of Emory's grandest, most lavish student events — Diwali, hosted by the Indian Cultural Exchange (ICE) — marked its 25th anniversary this year. Most commonly referred to as India's "festival of lights," Diwali symbolizes the beginning of a new year of happiness, goodness and prosperity. "Most importantly, the Diwali of today serves as a perfect example of India's regional, religious and cultural diversity," says Sunidhi Ramesh, co-chair with Rahul Nair of ICE Diwali 2015. This year's event was held Saturday, Nov. 7, at the Hilton Atlanta Downtown. Emory President James Wagner and Ajay Nair, senior vice president and dean of Campus Life, were among the guests. 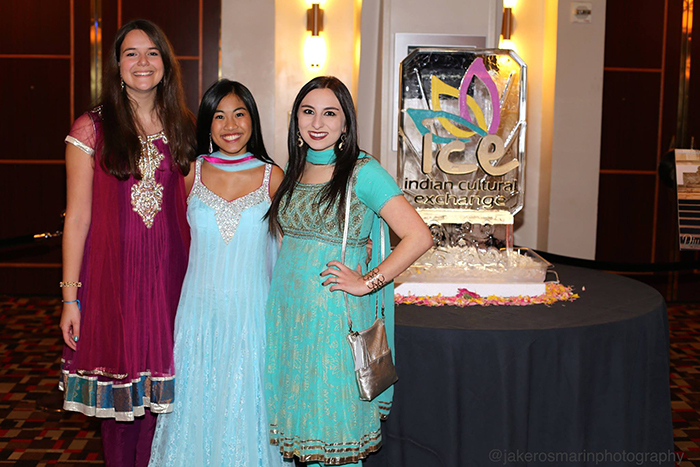 Included in the purchase of the $30 ticket were an authentic Indian dinner provided by Tava Indian Bistro; dance performances in the hip hop and Bollywood styles with Emory Savera, Emory Karma Bhangra fused with Persuasion, Emory Saraas, TNT (TrickaNomeTry) fused with Atlanta Satrangi, and the Class of 2016 Senior Dance; music provided by DJ Jaz Productions; and shuttles to and from the event. 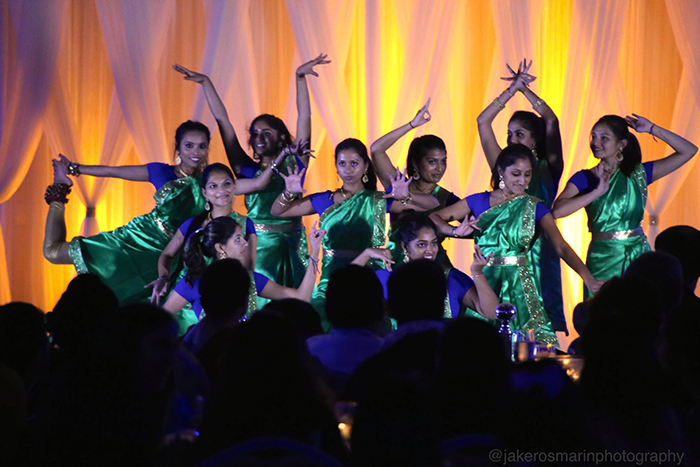 The Senior Dance is a performance put on by the seniors who attend Diwali. "We have choreographers who plan the dance and reach out to seniors who get tickets to the event. These seniors then learn the dance and perform it at Diwali as a cute end to the entire show," Ramesh says. ICE, an undergraduate student-run organization, has been at Emory since 1989. 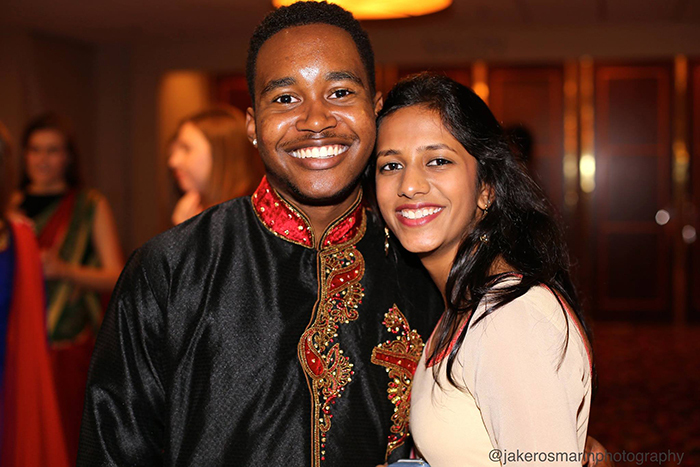 The co-chairs note that ICE Diwali is a "memorable night that embeds every aspect of Indian food, dance and culture." 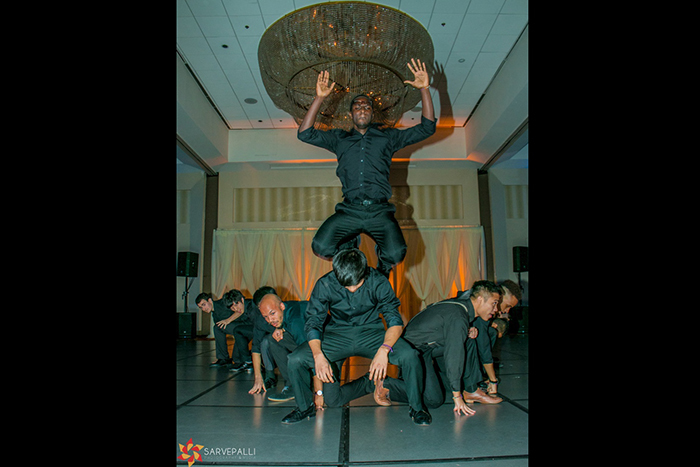 "We keep Diwali to around 700 attendees to keep things manageable for the ICE Executive Board," Ramesh explains. Tickets went on sale for three days in early October, with the location for each day's sale announced that morning via Facebook, drawing long lines of those eager to attend. The event was sold out by the last day of ticketing on Oct. 7, sparking a waitlist of more than 400 students. 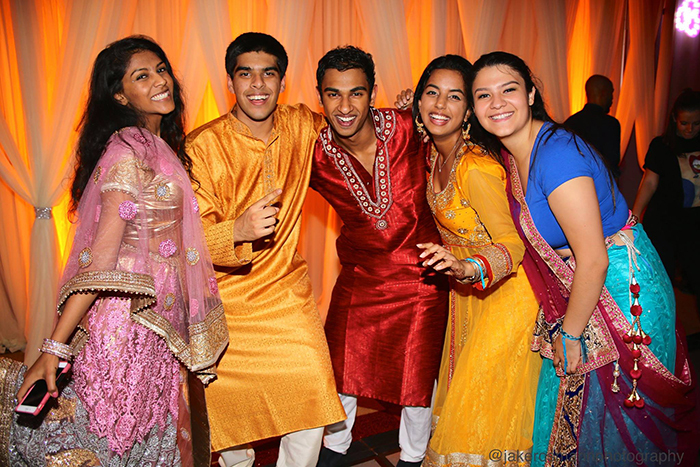 Formal attire or traditional Indian clothing is required, so before the Diwali celebration, ICE held a Diwali Sari Sale at two Wonderful Wednesdays and Mehndi Night, which precedes Diwali. Proceeds from the sales benefit Raksha, a Georgia-based nonprofit organization that supports education and provides services to the South Asian community. 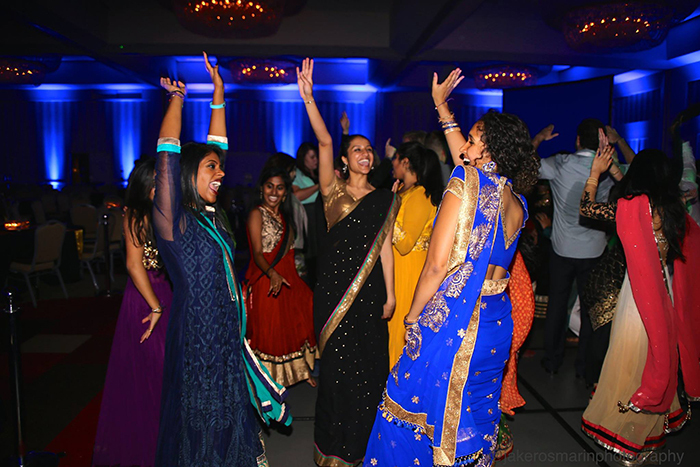 "Diwali is as special as it is because it brings Emory's community together in one night under the Indian culture. I absolutely love how willing students at this university are to come out and see what Indian food, dancing, and festivities are all about," Ramesh says. "It is really an event that signifies how open and accepting Emory and its students are to understanding and enjoying other cultures and communities."